The new website has been up for a while now and seems to be doing swimmingly. There has been a wealth of information passed between these hallowed halls and I don’t know about you but my life has been fully enriched as a result of all the posts. This way Kev will have a multitude of promiscuous beans the whole year round and doesn’t need to worry about those pesky hard, dried up peas. This is a fantastically good idea. It’s highly marketable. I particularly like the way Kev looks so sensual, with his lipstick on and his hand gently caressing his cheek. Thank you. I was hoping for this sort of reaction. The only way the consumers would identify with Kevin was if he was a highly sexualised being and thus he was depicted as the picture on the front. I think the artist did an excellent job. 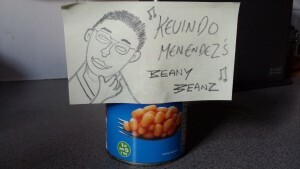 The simple fact is that the British public associate baked beans with Kev’s face and highly charged sexuality. You chose to tap into that and it was a wise move. These are going to sell big. I’d say your price point should be ten for £10.10. Another excellent suggestion. I mean clearly the product sells itself and I could charge whatever I want but ten for £10.10 is a sensible price for the best money can buy beans. Nobody wouldn’t want that. You’re right that the product sells itself, but it’s not enough to just toss it into the marketplace at a high-end price and settle for the wealthy filling their boots. Much better to pitch your price where it’s going to maximise your sales and then roll in the cash, like Scrooge McDuck but with credit card receipts and not coins. I like the part where I get to be Scrooge McDuck. Your response is highly pleasing to my brain. I’m pulling a face similar to Kevin’s but not as sensual. Or do you mean three tins? Don’t get three. Ten for £10.10 is a much better deal. You’ll save money in the long run. If you need three you can’t have three. The deal is ten for £10.10 and if you can’t accept that then you won’t receive any royalties for the use of your lovely face on the tin. WE NEED THREE (lots of ten tins)! If you did need three, surely you could just buy ten for £10.10 and just throw seven away. Three lots of ten tins will be thirty for £30.30. Thirty tins for £30.30 doesn’t sound anywhere as near as good an offer. It’s all down to the marketing. 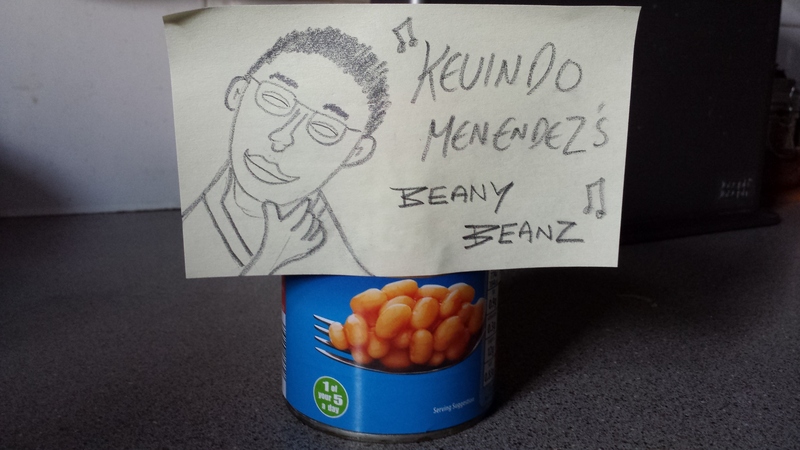 If Kevin wants to waste 27 tins of beans then make sure he does it on his own time.